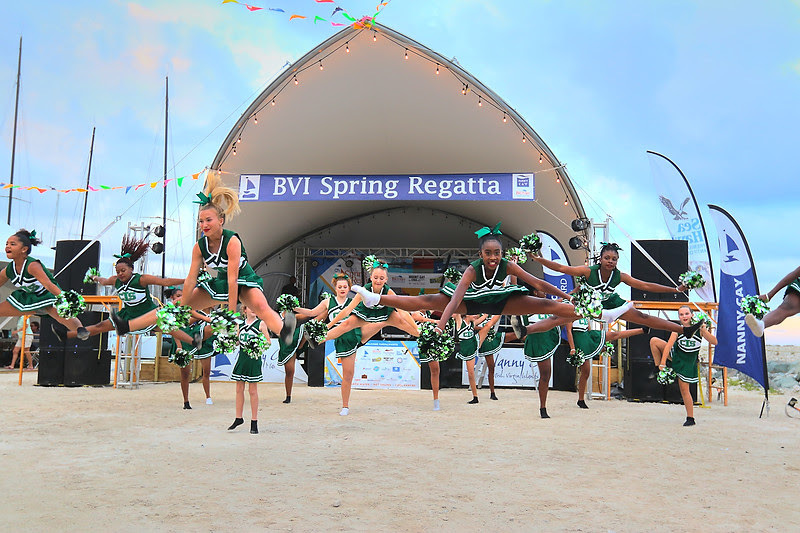 International-class sailing in one of the most beautiful places anywhere, together with good fun and camaraderie, draws many happy customers back to the BVI Spring Regatta and Sailing Festival year after year. 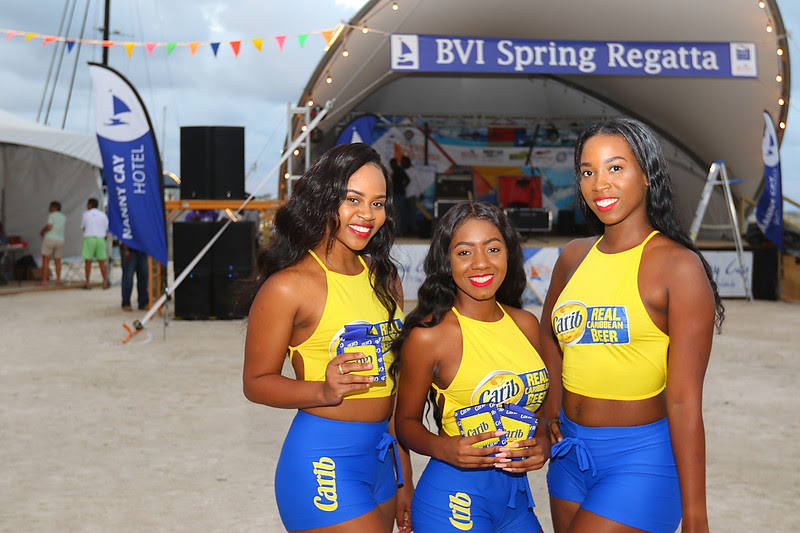 Racing in the 48th edition of the event starts on Friday; the Regatta Village is officially open, and a walk on the docks at Nanny Cay highlights the exciting lineup of the 90+ boats entered from 16 different countries. Sailors from all over the world have arrived to soak up the uniquely Caribbean ambience and go racing! It didn’t take much arm-twisting by Jim Proctor to entice Johnny Roberts to get on board with a group of 28 guys from Birmingham, Alabama, to race this year’s Spring Regatta. 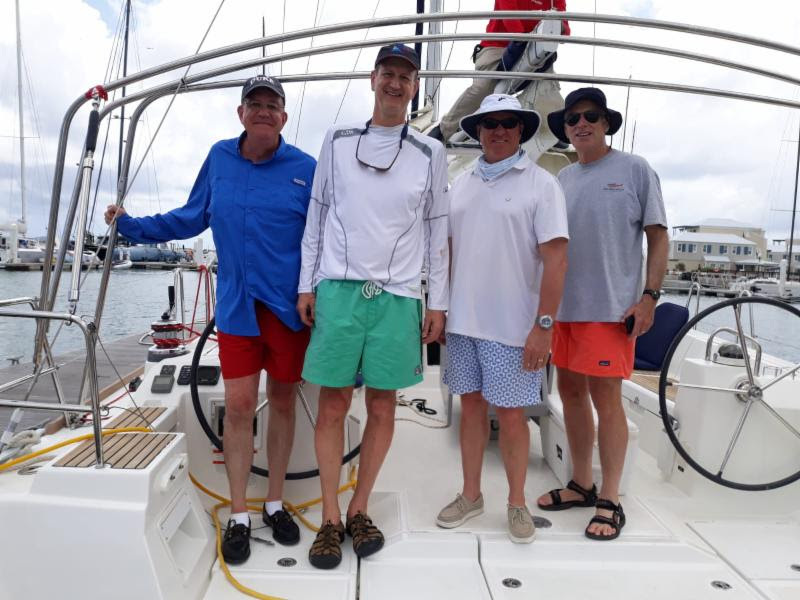 Its Roberts’ first time racing in the BVI but Proctor has been organizing the group who will be racing on five chartered Moorings 45s for many years now. It’s become a competition within a competition, Roberts joked. “Between our five boats there will be the fierce competition! I’m looking forward to the sailing which is relaxing and a great way to unwind from my busy life. I’m kind of glad my phone only sort of works here…” Roberts will be racing on Southern Wind, and Proctor is sailing on Senior Moment. Carolyn and Ron Zarrella, from Nantucket, Mass, launched their stunning Taylor 49 Blackfish in 2017, and the boat is special to the pair for many reasons. Over and above being a true beauty, significantly it brought them together and they married in 2016. They met when Carolyn was the Sailing Director at the Great Harbor Yacht Club on Nantucket and after Ron expressed an interest in having her help him design a new boat; well, the rest is history. Blackfish is a Spirit of Tradition boat designed by Jim Taylor, who will be crewing for the Zarrella’s. 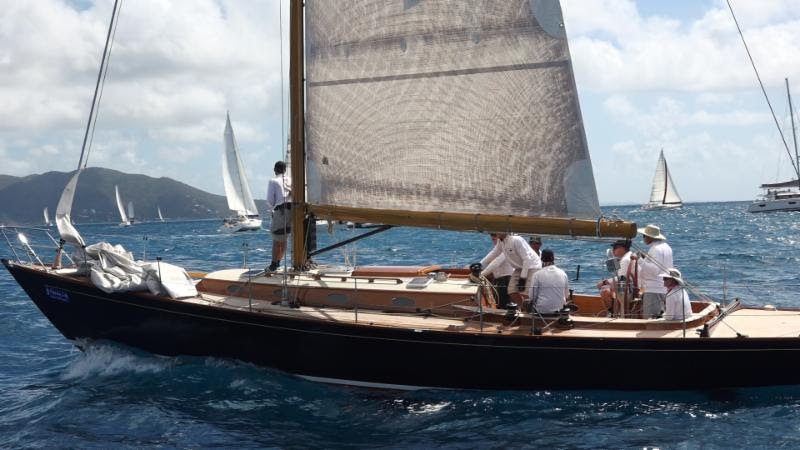 While she does have a modern keel, rudder and a carbon fiber mast, she was primarily built to compete with other classics. The boat is also a first-timer at Spring Regatta. Todd Stuart (Key West, FL), is back for another dose of Spring Regatta fun with White Rhino 2 – an extremely quick Carkeek 47. Stuart’s previously raced in the BVI on his Swan 56 White Rhino, but the Carkeek will be one to watch out for. The boat left Newport, RI, back in early November to hit the winter Caribbean racing series, so the crew is a little regatta weary but looking forward to racing the boat in the BVI for the first time. 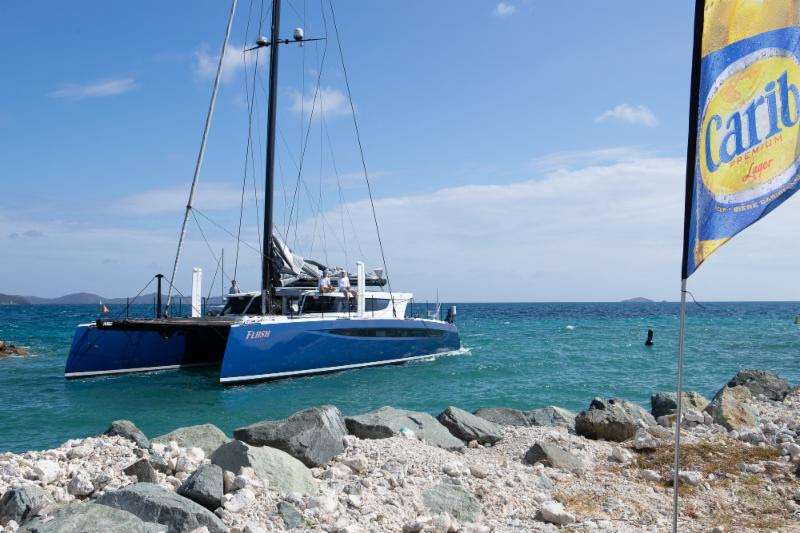 “We’ll have 12-14 crew on board – she’s a really fast fun boat and more breeze the better,” Joseph Waits said. Waits works the pit and has been with the White Rhino program for some nine years. The Escaped Aussies are back, racing in their 19th global regatta. The group of sailing friends met in Sydney, Australia and have since moved all over the world, so love to use regattas as a way to stay in touch and see the world. 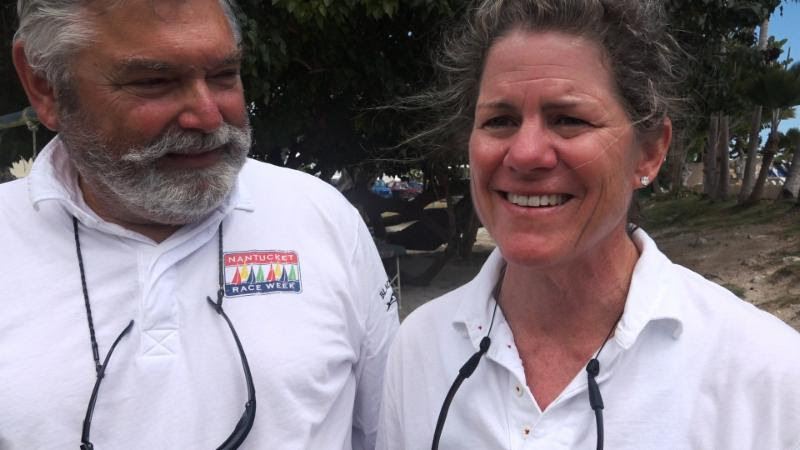 In addition to sailing and enjoying regatta parties, the team always “gives back” – they’ll be donating to VISAR and Family Support Network, local Tortola charities. 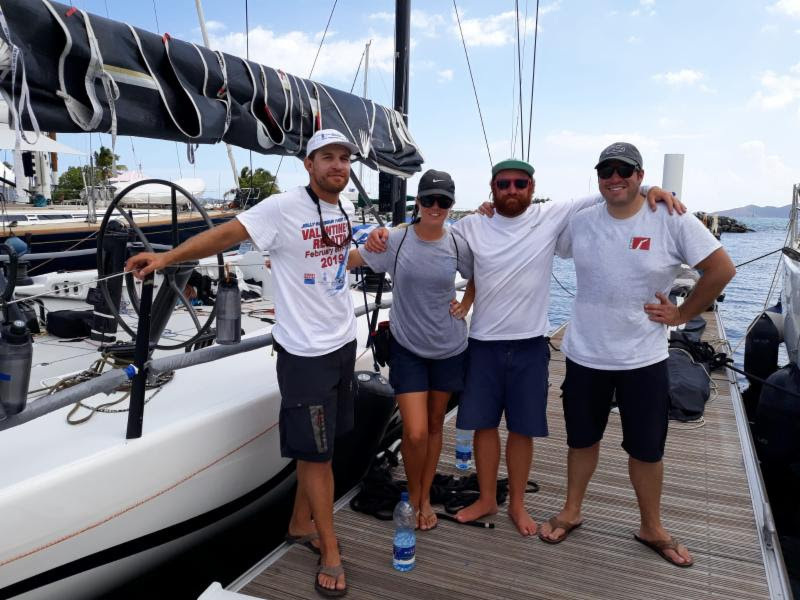 “Our team this year comprises sailors from Australia, Ireland, the UK and US – we’ll fly about 32,000 collective miles to get to the BVI but it’s part of the fun. Point is, we know a good regatta when we see one!” Alan Slothhower from Charlotte, North Carolina, shared. The team are racing on the J/120 Jaguar. 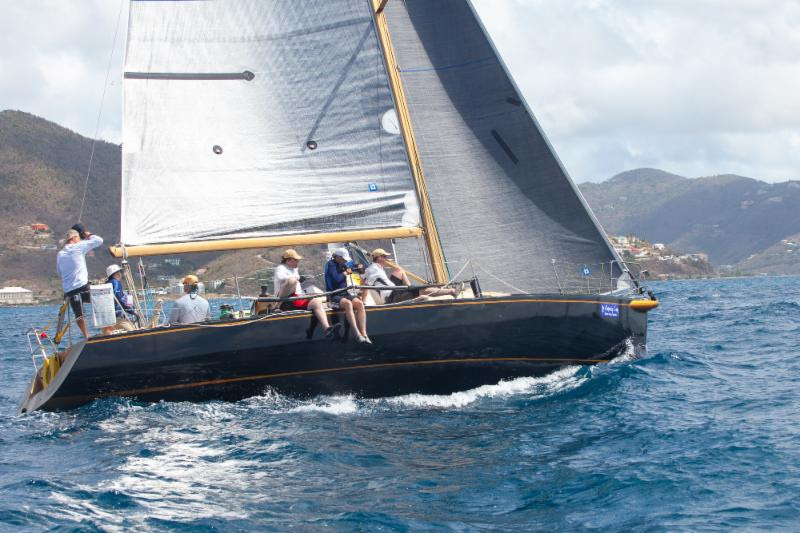 Racing for eight classes competing will start at 10am Friday March 29 for the Mount Gay Race Day and first of the BVI Spring Regatta. Mount Gay Race Day Awards will start at 5:30pm – wear your Red Cap and get a free Mount Gay drink. Music by Final Faze will liven up the party from 7pm to midnight.